Although Grumpy loves to get his readers excited about cool, new plants, he wishes people could pronounce their names. Take Heuchera, for example. What the heck is that? Heuchera (pronounced HUE-kerr-uh) is the catchall name for a whole group of plants you might have known in your youth as ''coral bells." Coral bells (Heuchera sanguninea) bears tall, wiry sprays of showy red or pink flowers above a tuft of leaves. My mom grew it just for the flowers. However, with the new Heucheras, foliage is king. 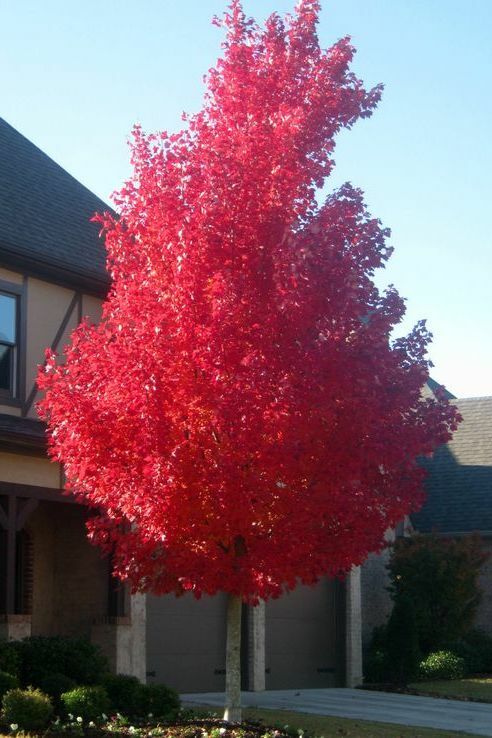 Thanks to the manic plant breeding work of "Professor Heuchera," Dan Heims, and the other folks at Terra Nova Nurseries in Canby, Oregon, we now have hardy perennials for the South that display of the most amazing and startling foliage colors imaginable. If you thought hostas ruled the shade garden, well...... they might just have been dethroned. Do you doubt Grumpy? Enjoy a little 'Southern Comfort' and maybe you'll change your mind. Whoa! That's all I can say when I look at that plant! (Well, "Whoa!" and "Will somebody please buy me 12 of these?") 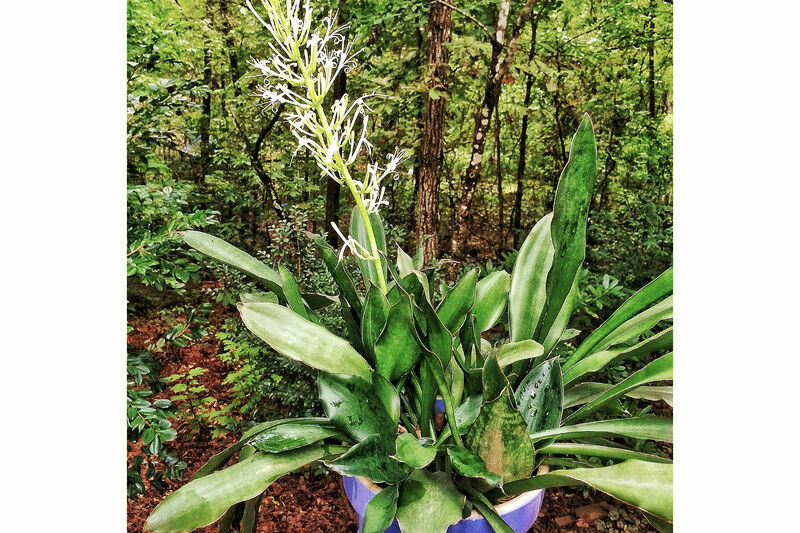 It grows into a mound about 14 inches high and 24 inches wide with white flowers in spring. 'Chocolate Ruffles' -- purple spring flowers. 'Electric Lime' -- white spring flowers. 'Amber Waves' -- pink and white spring flowers. 'Georgia Peach' -- white summer flowers. 'Fire Alarm' -- white summer flowers. 'Peach Flambe' -- white spring flowers. And Grumpy has only scratched the surface. There are dozens more. Aaaaaaaaaaahhhhhhhhhh!!!!! I want them all!! 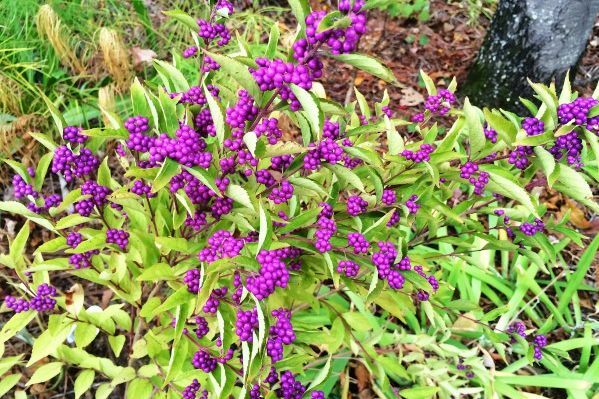 When breeders first started working with these plants, they created beautiful things, but Southern gardeners experienced one little problem. As soon as it got hot outside (usually, some time in April), the heucheras croaked. They just didn't like our climate. Then Dan and others began crossing them with heat- and humidity-tolerant Heuchera species like our native American alum root (Heuchera americana) and hairy alum root (Heuchera villosa). The result? 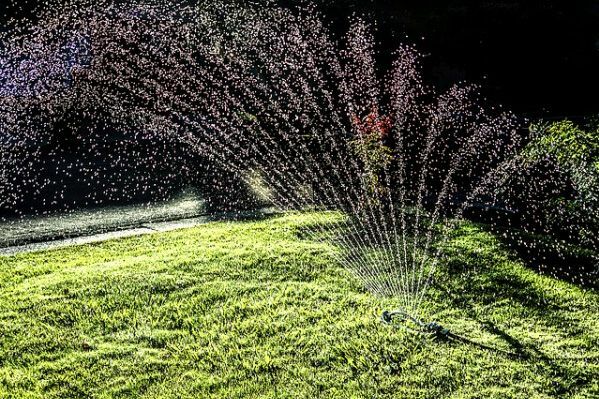 They'll take the summer heat of Zone 8, as well as the winter cold of Zone 4. 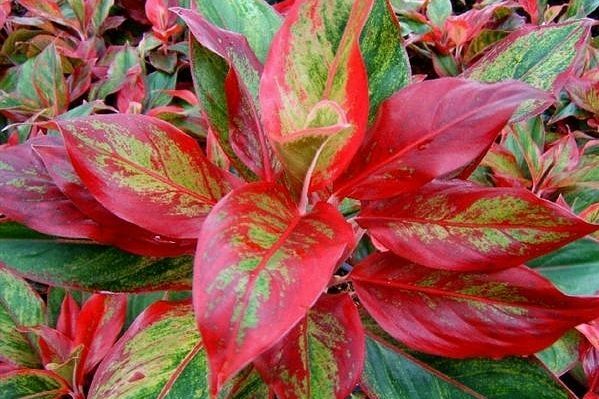 The brightest foliage always occurs with the first flush of growth in the spring. Summer heat tones down the show just a bit, but heucheras make up for it by being evergreen. In the South, heucheras need light shade. 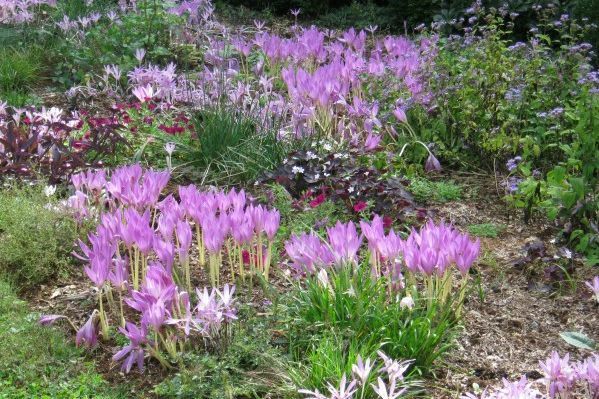 They like slightly acid, well-drained soil that contains lots of organic matter. 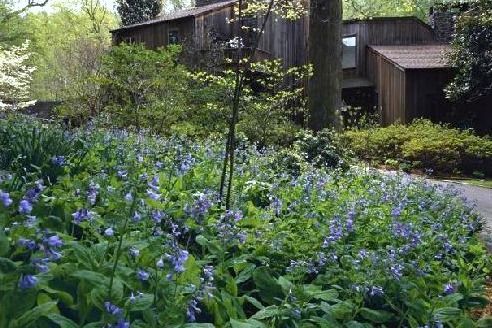 They make great companions for other shade perennials, such as hostas, ferns, pulmonaria, bleeding heart, and Solomon's seal. And they're fantastic in containers. Just make sure you don't bury the crown of the plant. Another big key to their care, Dan (above) told me, is not giving them too much water. Let them go a little dry between waterings, even when it's hot. Terra Nova is a wholesale nursery, so you can't buy directly from them. However, as heucheras become more and more popular, more garden centers are carrying them. You can also order them through the mail. Now is a good time to plant. Grumpy's Approved Sources for Heucheras include: Plant Delights, Klehm's Song Sparrow Perennial Farm, and Bluestone Perennials. Photos of heucheras and "Professor Heuchera" courtesy of Terra Nova Nurseries.